Throughout history, the accounting profession has sought ways to reduce the tedium of repetitive, rote tasks. Accountants have longed to put their minds and energies to better use, and CFOs and controllers are tired of wasting resources that could bring greater value to the organization. 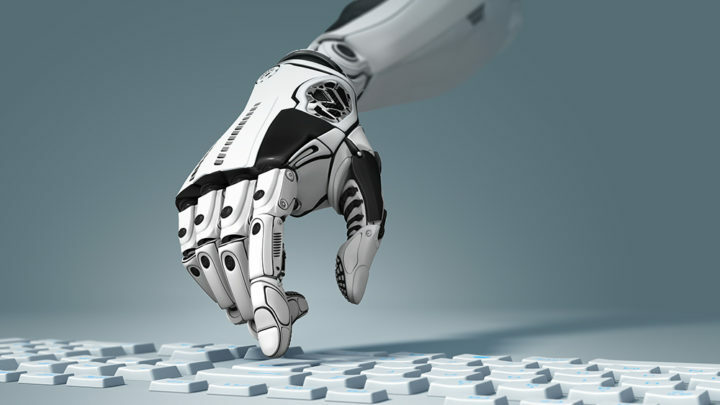 In finance and accounting organizations, RPA employs machine learning techniques to monitor simple accounting tasks such as journal entries, credit notes or accrual calculations. When a result goes beyond a set threshold, RPA can initiate a solution by triggering a remediation workflow. An example is exception management, where RPA is trained not just how to detect exceptions but to know what to do with them. It can initiate different remediation workflows based on the nature of the exception and whether the exception comes up once or 100 times. In another example, RPA can monitor and respond to an organization’s controls. This can save significant time for an organization that might be running four or five hundred controls for the monthly financial close. RPA is being used across industries today for simple and complex F&A scenarios, from monitoring price-difference accounts to settling production orders and inventory processes. As RPA becomes more capable, it will tackle higher levels of decision-making. For instance, it can bring intelligence to actually creating exceptions based on complex criteria, rather than just reacting to them. In the future, RPA will apply nuanced judgment to more complex scenarios. As it is used today, RPA helps relieve stress and shorten closing times by speeding up a growing number of accounting tasks. Managers can then employ predictive analytics to head off potential problems and make necessary changes during, not after the month. If an account is 50 percent over threshold during week one, the manager can make the change quickly, rather than having to wait until month’s end when the account could be 200 percent over threshold. This combination of RPA and predictive analytics help shorten the path to Continuous Accounting, where process data is collected weekly or even daily, and process-tuning doesn’t have to wait until the month’s end – or even later – to improve performance and efficiency. Thanks to RPA’s ability to learn on-the-job, so to speak, it is also taking on growing responsibilities by helping auditors do their jobs more quickly than ever before. For instance, auditors are always concerned with the processes of assessing and executing financial controls. They want to know if the scheduled controls were executed correctly, whether they initiated the necessary remediation workflows, and whether these workflows brought about correct resolutions. Done manually, these checks can take up a lot of the auditor’s time and, as with other rote manual processes, prove susceptible to human error. RPA can take over auditing tasks such as these, relieving the auditors to put their time and expertise into solving more complex issues, and make the process continuous, rather than leaving it until month-end. As RPA grows in sophistication, it will help raise process automation to ever-higher levels. Some of today’s best-in-class F&A organizations rightfully claim process-automation levels of 70 percent or better. Advanced forms of RPA will help these numbers grow to 90 percent. Sophisticated automation tools will continue to make these processes and their financial results instantly visible to CFOs and other managers. The result: F&A transaction processes won’t require roomfuls of equipment, located on different continents, to do their jobs. The phenomenon of cybersourcing will bring new levels of freedom and economy to organizations around the world. Previous story What Is A Prepaid Expense?